You should always use enums when a variable (especially a method parameter) can only take one out of a small set of possible values. Examples would be things like type constants (contract status: “permanent”, “temp”, “apprentice”), or flags (“execute now”, “defer execution”). If you use enums instead of integers (or String codes), you increase compile-time checking and avoid errors from passing in invalid constants, and you document which values are legal to use. Biggest Market Place in the World. Simplest way to manage Money. 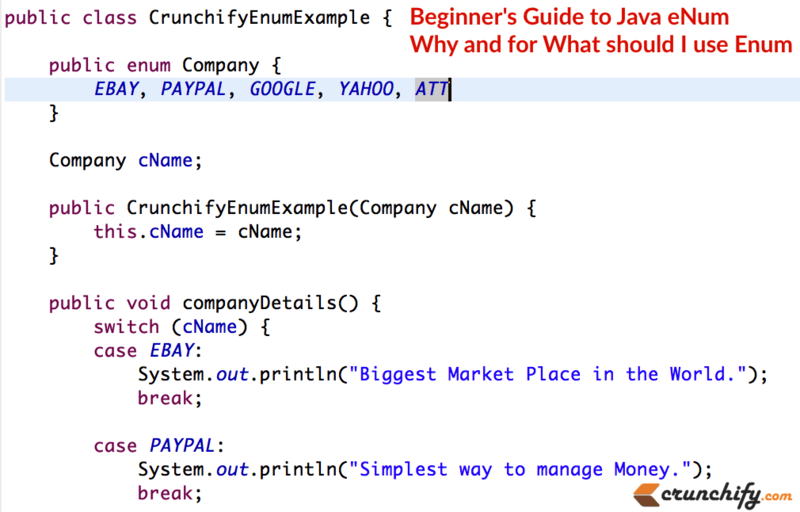 Google - biggest search giant.. ATT - my carrier provider..
All enums implicitly extend java.lang.Enum. Since Java does not support multiple inheritance, an enum cannot extend anything else. 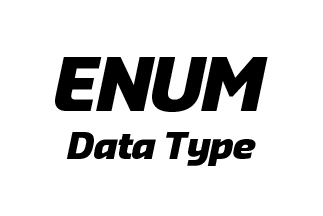 Enum in Java are type-safe: Enum has there own name-space. It means your enum will have a type for example “Company” in below example and you can not assign any value other than specified in Enum Constants. You can specify values of enum constants at the creation time. MyEnum.values() returns an array of MyEnum’s values. Enum constants are implicitly static and final and can not be changed once created. You can not create instance of enums by using new operator in Java because constructor of Enum in Java can only be private and Enums constants can only be created inside Enums itself. Instance of Enum in Java is created when any Enum constants are first called or referenced in code. An enum specifies a list of constant values assigned to a type. An enum can be declared outside or inside a class, but NOT in a method. Enums can contain constructors, methods, variables, and constant class bodies. enum constants can send arguments to the enum constructor, using the syntax BIG(8), where the int literal 8 is passed to the enum constructor. The semicolon at the end of an enum declaration is optional. Enums are lists of constants. When you need a predefined list of values which do not represent some kind of numeric or textual data, you should use an enum. Between, overuse of enums might mean that your methods do too much (it’s often better to have several separate methods, rather than one method that takes several flags which modify what it does), but if you have to use flags or type codes, enums are the way to go. System.out.println("Get enum value for Comapny 'eBay': "